Korean School Violence Prevention and Countermeasure Act (hereinafter, SVPC Act) was enacted in 2004 and was recently amended in 2012. The SVPC Act has been revised more than 10 times to address the problems of school violence effectively. The effectiveness of the act, however, is still under question. Even with the 2012 revision, the SVPC Act needs further adjustment in a number of aspects. Therefore, the fundamental reflection should be given on the causes that leaves the SVPC Act impotent against preventing school violence. First of all, the term ``school violence`` is not yet clearly defined. Second, the SVPC Act still does not provide protection to cover all cases of the victimized students in real life. There also are very much controversy over how the SVPC Act does not give due punishment to the assailant. We should have a clear understanding over the fact that harsh punishment for the offenders does not translate directly to the protection for the victims. This perception is fundamentally related to the purpose of the SVPC Act. 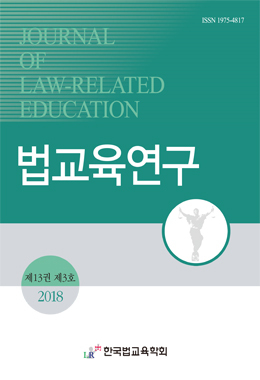 It also has an influence on the function of the School Violence Autonomy Committee, which deals with the educational procedure and the judicial procedure regarding the current SVPC Act at the same time. On this track of thoughts, we should focus the attention on what we want to achieve through the SVPC Act as a means to deal with school violence. The SVPC Act will take root and function as it is suppose to only when a social consensus is reached on this issue.